What that means is, once you've figured out what you're really good at, make that a central focus of your work and your life. It also means to not be meek and hesitate to show others what you're really capable of. 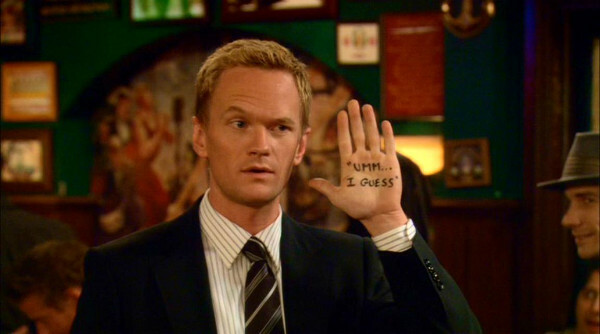 For a well-known example, take Neil Patrick Harris' character on the How I Met Your Mother TV show, Barney. Barney could've just been a goofy minor character, but the creators realized the character's potential and how good Harris was at playing him, so they made him the funniest and most prominent character in the show. And while Barney was mostly just a wacky womanizer early on, the creators wisely fleshed out the character over time by giving him a love interest, a family, a job and a backstory. The creators knew they had something great going on, and they flaunted it. How I Met Your Mother would've been a much worse show without Barney, and it might've even gotten canceled had it focused more on the main character, Ted, who isn't nearly as funny and entertaining. For an example of this in webcomics, there's Looking For Group by Ryan Sohmer, who's probably better-known for writing Least I Could Do. Looking For Group, based on what I've seen of it, would be an unremarkable World of Warcraft fan-fiction comic if it wasn't for the character Richard, a hilarious chaotic-evil warlock. 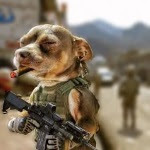 Most of the webcomic's humor comes from Richard being psychotic, antisocial, overly destructive and very random, and excessive violence is his solution to every problem. I'm not a fan of Sohmer's writing in general, but I'll give him credit for being so good at writing this one character. He also made the right decision to make the comic revolve around Richard, since he's easily the most entertaining and original character. 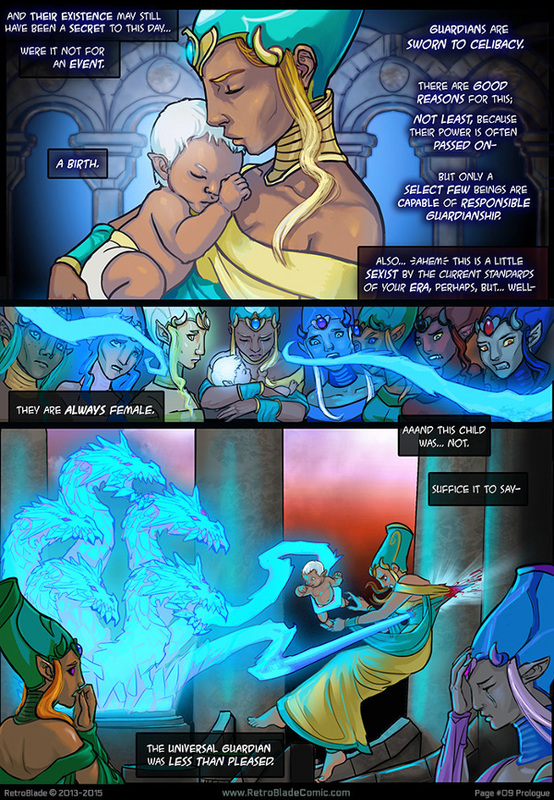 The webcomic's title doesn't give much of an indication of what the story's about. It's basically a sci-fi comic about a hero and heroine who can't stand each other, but you just know that they're going to end up together eventually. The predictability's OK. In any rom-com, you know that the super-attractive young movie stars are going to fall in love by the end and live happily ever after. Those stories are really more about the obstacles they overcome to get to that point than the conclusion. In that sense, as a whole, the writing in RetroBlade is excellent. The two protagonists are both likable, strong-willed and independent characters with a lot of personality, and Freya Horn does a great job of writing the banter and arguments between them while building up the romantic and sexual tension. So the characters and dialogue are awesome. Sounds like a great comic, right? It is … once you get past all of the exposition in the beginning, anyway. Before RetroBlade gets to its first chapter, it has two introductions: a four-page preface and an 18-page prologue. Horn paces these sections as well as she can, but we're still stuck with 22 pages of exposition, mainly about the power crystal that lets the protagonist time-travel. 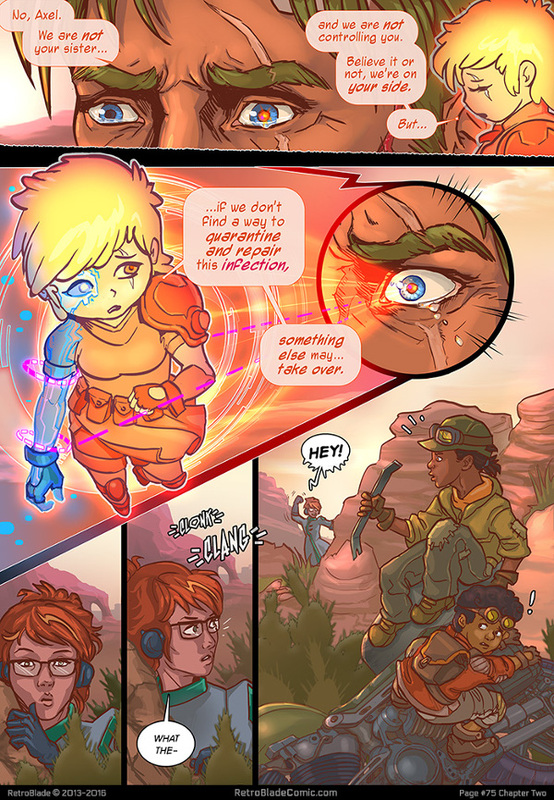 This page has some really clever futuristic concepts going on. For example, the city's residents get to vote on what the weather should be the next day — this is the first time I've seen this idea in a sci-fi story. The city also runs an augmented reality system to help residents find their way around and learn about local events, which is a cool implementation of a technology that we're just starting to use today. Of course, these concepts would be way better if Horn had stuck to the classic writing rule “show, don't tell.” But my main point is that we're 27 pages in, and we still haven't gotten to the good stuff that I highlighted earlier in this post. I know, I know: You have to set everything up first before you get to the good part. I've heard this attitude before … and I don't buy it. There's no valid reason why a story can't be good from start to finish, and let's face it: A lot of webcomics suffer from bad pacing, whether by being too fast or too slow. 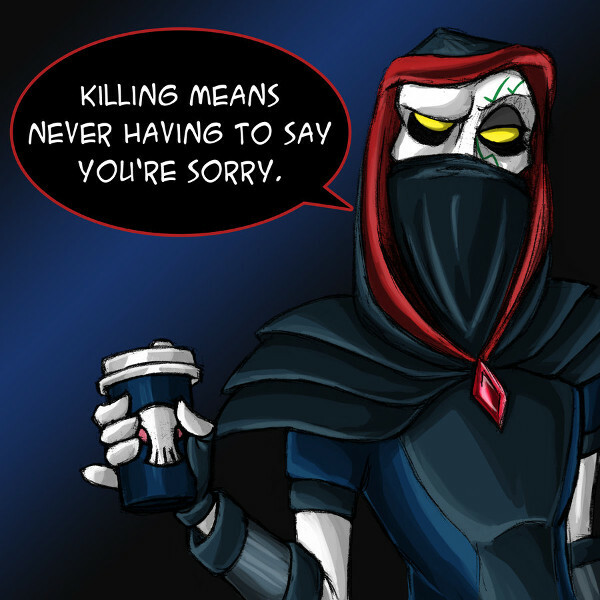 What if RetroBlade started on Page 28, and explained everything in bits and pieces as the story went on? I think it'd be a better webcomic that way. 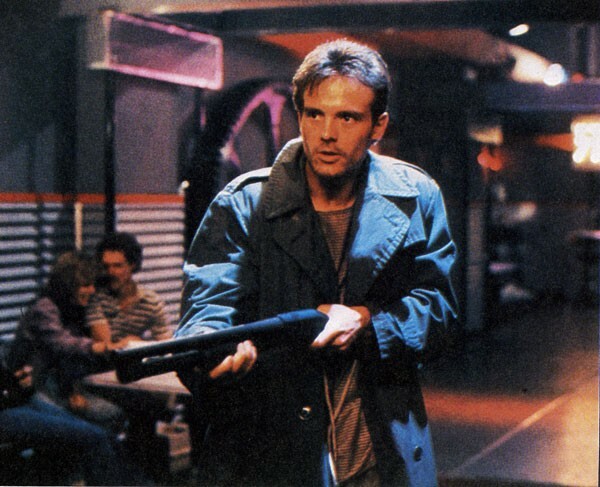 I mean, the first Terminator movie is a time-travel story that's basically set up like that. In the beginning, we just see a guy trying to stop a killer robot, and we don't understand what's going on until later. The movie fills in the details during breaks between the exciting parts. 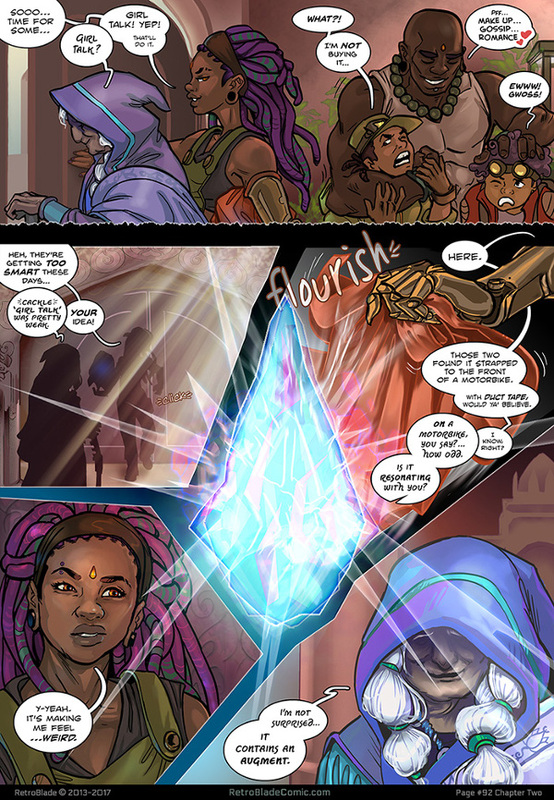 Once the webcomic gets to Page 28, everything flows perfectly, and I have no complaints after that. In fact, RetroBlade actually has me eager to see what happens next, which is how I can tell that Horn did a great job with the writing. While the exposition-heavy introduction isn't as engaging as it could be, the colorful and highly detailed artwork is terrific, and it's more than enough to hook readers from the beginning. And to Horn's credit, the exposition is accompanied by amazing visuals, so it's not like some other webcomics where you have gigantic captions or speech bubbles engulfing the panels. 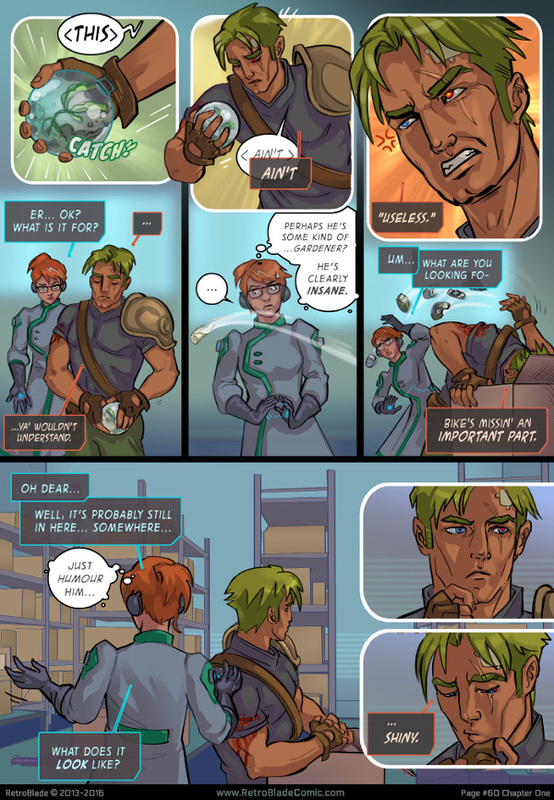 The art in this comic constantly blows me away, and it's convinced me that Horn belongs in the top tier of webcomic artists. She clearly puts an all-out effort into every single panel, and I'm extremely impressed to see this kind of work ethic from an amateur. Essentially, readers are getting professional-quality content for free — and you can't beat that value. As is the usual case when I review webcomics that have excellent artwork, I'm not going to flex my vocabulary to try to describe how appealing the art is. Nothing I could write is more effective than simply showing you these spectacular illustrations. However, I'll mention that RetroBlade has a blue-and-orange color scheme that I heavily associate with the comic. The archives page has thumbnails of all the pages, so it's easy to see what I'm talking about if you go to that page and view the webcomic as a whole. Note that the hero carries a blue crystal and the heroine has orange hair, so the character designs fit this color scheme as well. 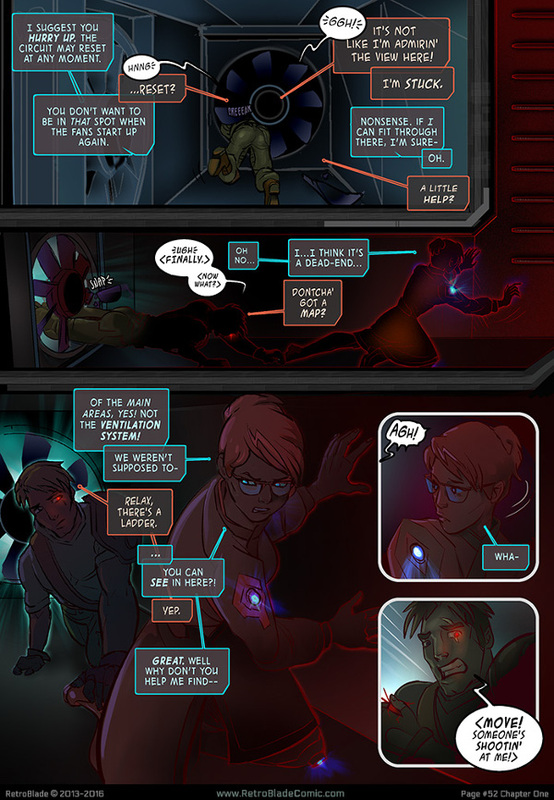 RetroBlade takes a while to get going, but readers can just jump in at Page 28 without really missing anything. And after that point, it's an awesome sci-fi comic with great artwork that I can easily recommend. Dialogue is clearly Horn's greatest strength when it comes to writing comics, and the more she recognizes that and flaunts it, the better.